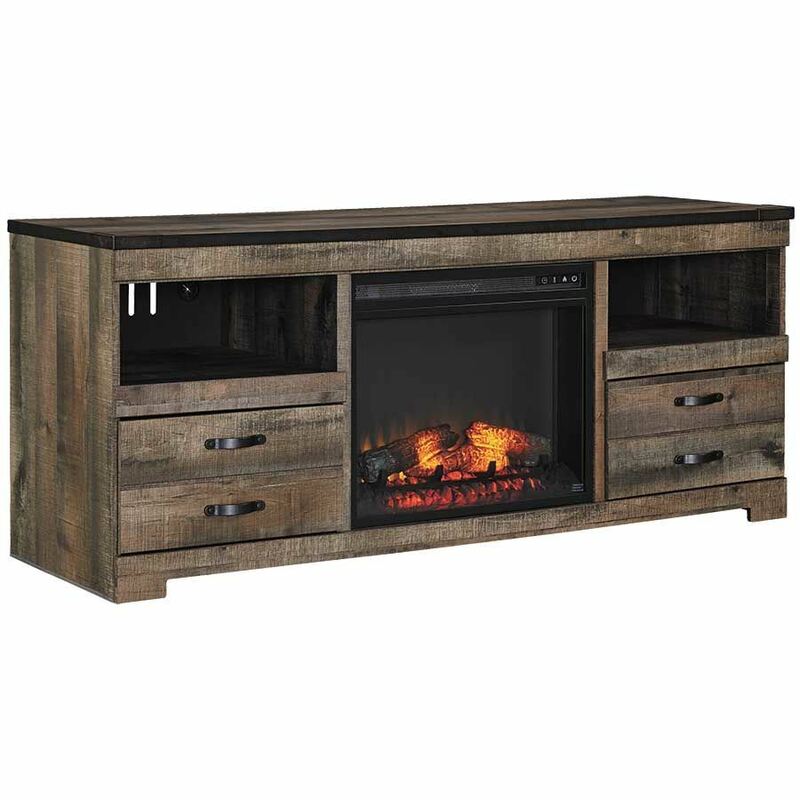 Add rustic flair to your home with the Trinell Large TV with Fireplace Console by Ashley Furniture. 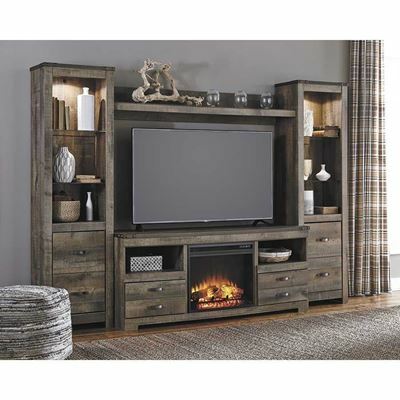 This entertainment wall features clean lines paired with a warm, rustic oak plank finish and nail-trimmed metal corner brackets for a cozy, reclaimed look. 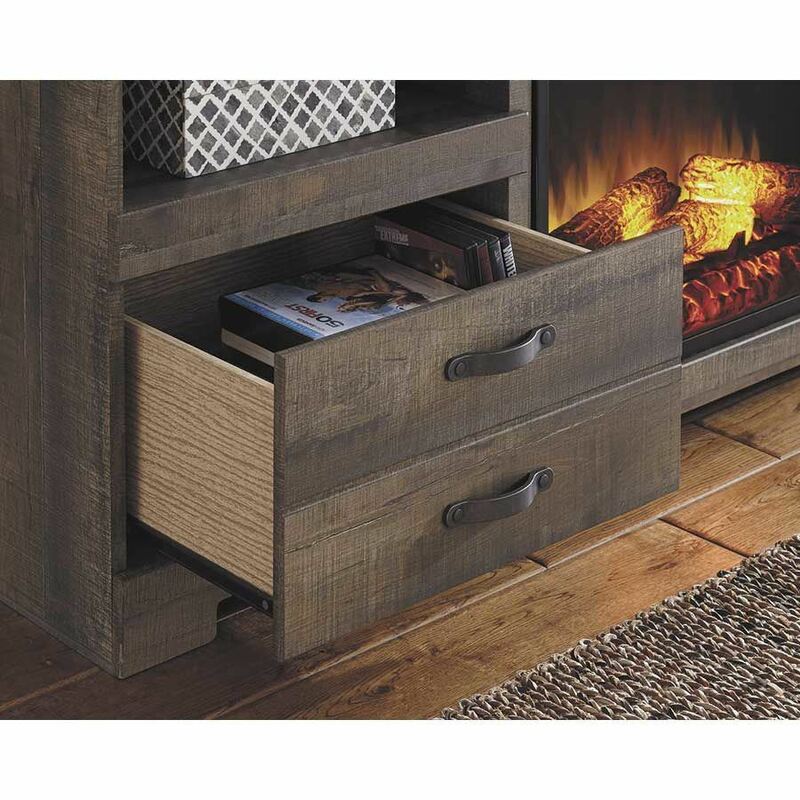 Two drawers and two open shelves provide space for remotes and media components while the fireplace insert adds extra coziness to the room. Add rustic flair to your home with the Trinell Large TV with Fireplace Console by Ashley Furniture. 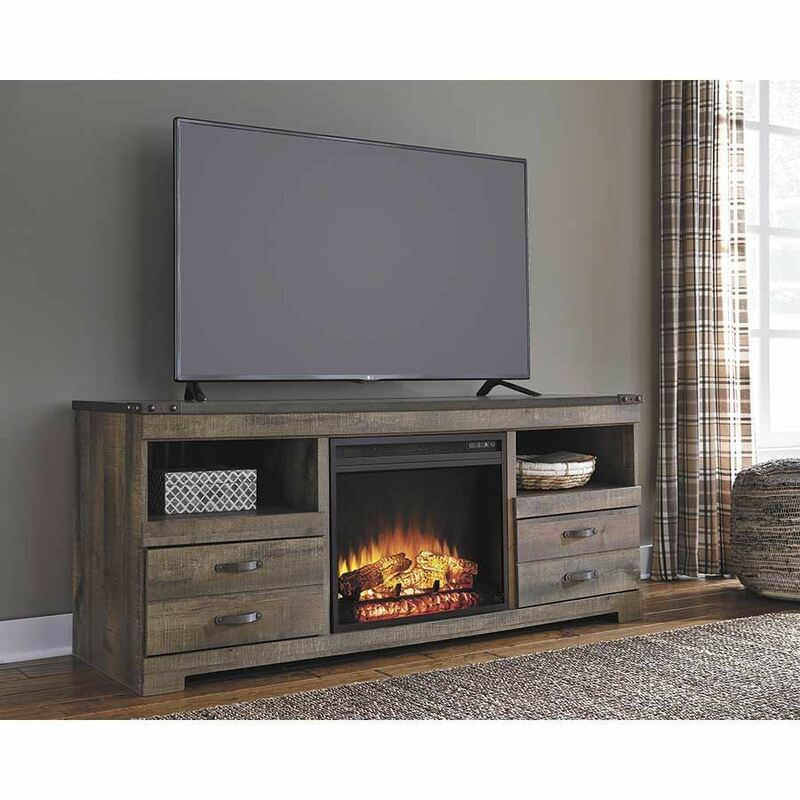 Trinell Large TV Console with Fireplace with Fireplace by Ashley Furniture. Tops are captured with a nail trimmed corner piece. 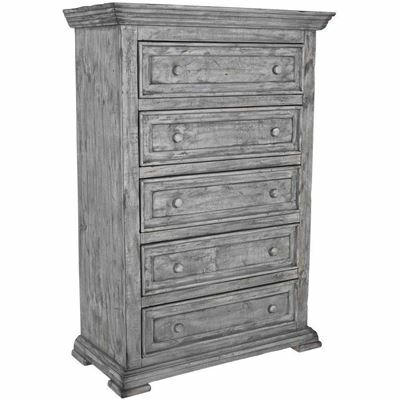 Handles feature nail head trim in a dark bronze color. 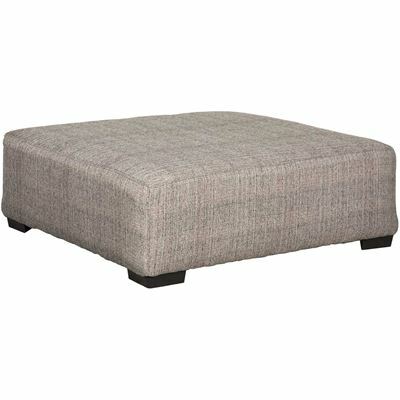 Includes side roller glides for smooth operating drawer. 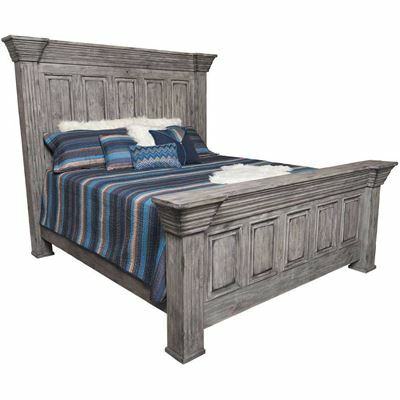 The W446-68 is compatible with the W100-01 LED fireplace insert.